Do you know if you have mice? Mice may look cute in the pet store, but when you see one scurrying across your attic or kitchen floor, you have a problem that needs fixing. They are light brownish grey in color, 3 inches in length, has long large ears, and a tail that is as long as its body. They prefer living indoors and seek out any small hidden spaces inside walls and clutters for shelter. The first sign that there is a mouse problem is mouse droppings. Most mouse dropping average ¼ in. in length and have pointed ends. The second sign to watch out for are gnaw marks. Mice eat whatever you eat. All the food you have lying around and drop on the floor, the mouse will pick up. As well mice are known to damage property and can easily chew electric wiring. When that happens, it’s important to call an expert because gnaws in electric wires can lead to fire. Mice are also known to carry around diseases such as LCM and can trigger allergies and asthma attacks in allergy and asthma sufferers. Mice problems grow during the fall season. They seek warmer spots for shelter when they see that winter is coming. Female mice can have up to 100 babies per year. The problem can grow fast if it is not taken care of immediately. To remove them, there are various humane options for you to explore. You can purchase several glue traps at Canadian Tire or Home Depot stores. These traps should be placed along the wall and are best for catching young mice in a humane way. Use bait if necessary. Check the trap often and use gloves to dispose of the mouse by spraying it with water. There are also sound repellents available that can disrupt communication between mice and annoy them. These sounds do not affect humans. As well, you can try biological control means, which means buying a cat. Cats are very good at preventing mice from entering the home. It is recommended to seek the services of a trained Pest Control professional like Anypest from Hamilton to eliminate pests and for thorough results. 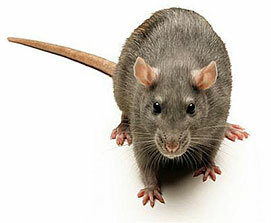 We handle both commercial businesses and residential homes for mice removal and control. In addition to sealing any holes with wire mesh and spray foam, our Pest Control professionals bait the entire home with bait boxes filled with poison blocks. These blocks are made to mummify the mice so there is no odour involved. In order to prevent them from climbing up the exterior walls and get into the attic, we bait the attic with poison packets inside the bait boxes. After the problem has been eradicated, we will clean and disinfect your home with an eco-friendly sanitizer. If you leave a bowl of food outside for your pet, you’re inviting every mouse in the neighbourhood to drop by. For more prevention tips and assistance with exclusion, call AnyPest.ca. This entry was posted in Blog on 2014/11/03 by Any Pest.